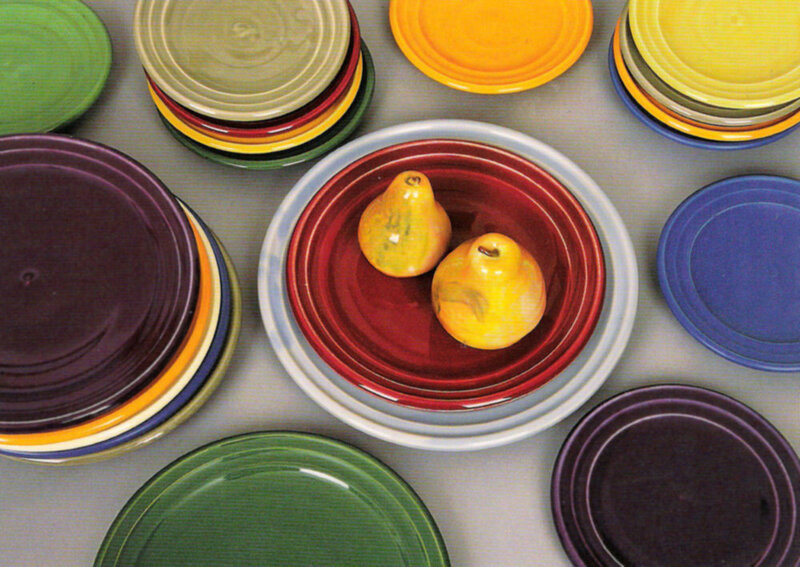 The pieces in this collection are inspired by California pottery made in the 1930’s and 40’s, complete with candy colors, bold shapes and clean lines. 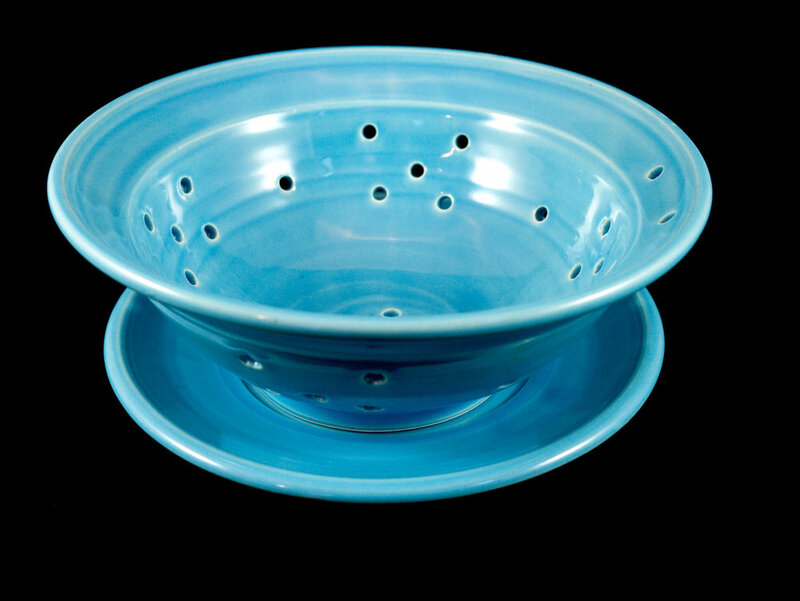 The original Bauer ringware bowls from this era were designed and slip cast to resemble hand thrown bowls with throwing lines. My version of “ringware” is actually thrown by hand on the wheel, as an homage to these slip cast bowls and other shapes that were meant to emulate hand thrown ones. 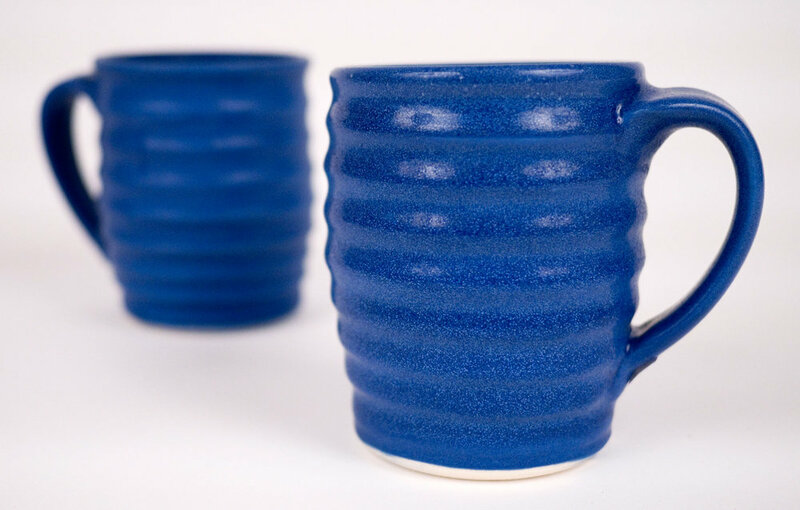 The bowls, plates and tumblers are some of the most functional pieces that I make, and are a perfect marriage of style and utility. I make each piece, one at a time on the potter's wheel. Production is limited, and my intent is to produce wares that have life, breath, and the mark of my hand. My pots are durable and meant for function. My glazes are food safe. 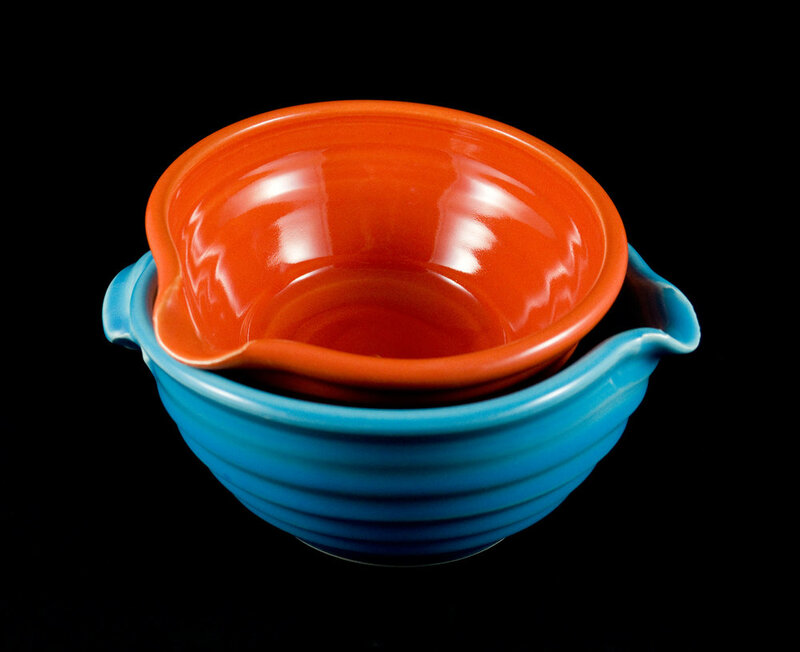 All pieces are dishwasher safe and can be used in the oven and microwave. Because each piece is made by hand, each piece is unique yet related to the others, like members of a family. Small variations in size and color do occur.